Blog > News > New year, new projects! Welcome to 2017! Not sure what to knit in the new year? Merion and Eric are finding inspiration in the Community! Merion: This year, I am determined to challenge myself knitwise. 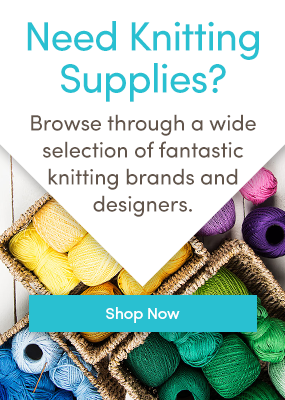 I’ve had a year of fairly quiet knitting – sticking to old favourites, re-knitting patterns I love, and there’s nothing wrong with that – but I need something new to wake up my needles. I have knitted without a pattern, I’ve loved cosy colourwork, I’ve embraced summer cotton knits (and I never thought I’d love that as much as I did!) – so what’s next? Sometimes inspiration comes from chatting with our knitty friends – and so I hopped straight over to our fabulous Community page to find out what you have all been knitting! I absolutely LOVE Beverley Oz’s adaptation of Amber Allison’s Fireside Sweater! In her version, Beverley has modified the sleeves and added non-matching buttons to really make it her own, and this is what I love about knitters – we can take a pattern that we love, and knit it to suit! Beverley used BC Garn Hamelton Tweed 1, which is a fantastic aran weight yarn that’s affordable and luxurious at the same time. Left, Fireside Sweater by Amber Allison, and right, Beverley Oz’s project with custom buttons! Olga L has knitted a beautiful Rico shawl for her sister, from the Rico Shawls and Snood in Rico Fashion Fantasy DK pattern. Rico Fashion Fantasy DK is a speckled print cotton yarn that is fabulous for summer weight shawls, but you can knit this in any DK that you love. I’m a great fan of variegated yarn when it comes to shawls, and I love Rico Creative Melange DK – but if you’d like to create something in a solid shade, as Olga has here, Rico Essentials Merino DK comes in over 40 shades! Left, Rico Shawls and Snood in Rico Fashion Fantasy DK and right, Olga L’s gorgeous shawl from the pattern for her sister! I can see myself knitting both of those fabulous patterns…. but I’ve found a rather lovely shawl to knit first from SEAKnitting, called Border Ballad – there’ll be more on the blog about it soon! Happy New Year everyone! I hope you’re as excited as I am for what this year will bring. If you’ve been over on the LoveCrochet blog, you might have seen that myself and some of the guys here in the office have been crocheting, or as we call it, “brocheting.” Merion was kind enough to teach us to crochet in November, and by year’s end I had made two winter hats, two cowls, two people scarves, and one dog scarf. I haven’t come close to mastering crochet, but I do feel that it’s time for a new challenge. I’d like to keep advancing my crochet work, but I’d also really like to learn to knit as well. Of course I have to start off fairly easy, so I believe I’m going to start with a hat. A scarf might be easier, but I’ve always been one for a bit of a challenge, so hat it is! Merion found me this chunky hat pattern by the wonderfully talented Alice Neal. It’s knit in the round, which I think sounds like an exciting new task to learn. I love the ribbing on the fold, although I think I might forego the pompom for my own hat, and make another with it as a gift (I’m just not a pompom kind of fella). What are your new year knitting plans? Tell us all about it in the comments! Last updated: August 11th, 2017. One Response to New year, new projects! A wonderful job. Super helpful inoimratofn.